World: The ferrous slag market in 2014 was worth an estimated US$30bn. It is forecast to grow by 1.6% to US$36bn by 2025, according to a new report from Smithers Apex. 'The Future of Ferrous Slag to 2025' examines the factors affecting ferrous slag production to provide a basis for forecasting the quantities likely to be produced up to the year 2025. It looks at current and possible future applications of slag and describes the trends in regulations affecting the market. The current potential market supply of blast furnace slag is estimated to be 447Mt, of which almost 295 – 300Mt is granulated blast furnace slag (GBS). The making of steel from blast furnace iron through oxygen conversion (or basic oxygen furnace, BOF) contributes a further 140 – 145Mt of slag and the alternative route to steelmaking through electric arc furnaces (EAF) supplies more than 50Mt. According to the report, the total output of ferrous slag is expected to increase only slowly, or to stagnate and decline marginally, because EAF steelmaking capacity is expected to grow faster than BF-BOF steelmaking capacity. This effect can already be seen in the US, where the tonnage of steel produced by EAF plants overtook the tonnage produced by BF-BOF plants in the 1990s. Since then, further decline in BF-BOF output has led US-cement and aggregate companies to start importing slag and to invest in new coastal slag treatment installations dependent entirely on imported supplies. Changes in the Chinese steel industry will contribute substantially to this rising share of EAF steel in world supply. China produces half of world crude steel and BF-BOF steelworks account for over 80% of China's steel output. The Chinese government is campaigning to replace small and inefficient steelworks with EAF installations. In the current market, it is estimated that total production of ferrous slag of all types amounts to US$24.5bn. While it is possible that supply will increase only slowly, if at all, there is growing demand for slag products, which is likely to ensure that the value per tonne of slag products will increase. The growth in demand has been accelerated by environmental legislation and by direct intervention from governments and international bodies. Demand for slag products has been affected by market cycles. The collapse of construction activity in Europe, as a consequence of the financial crisis, reduced sales of slag for cement and aggregate use. Over the medium term, there is every prospect that demand will outrun supply. 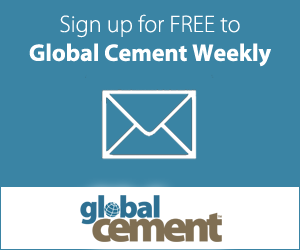 Currently GGBS meets only an estimated 17% of global cement supply. 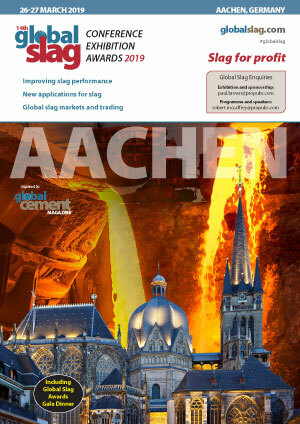 Slag products as aggregate substitutes meet only 1 - 1.5% of total demand.